All About Jazz is on a mission to identify the world's top jazz venues and we need your help. For nearly 25 years, curious listeners have used AAJ to discover new music, and we recently created a fun way for aficionados (like you!) to help them find the best places to hear live jazz by simply casting a vote. Your participation takes seconds and over 1,100 people from around the world have already identified some great venues: from NYC to Akron, Ohio, to Paris and beyond. To get started, go here and select up to five venues where you like to hear live jazz. After you vote, you can view the up-to-the-minute rankings. You can also filter results by city to view every venue that has received a vote to date. We'll archive the results, publish an article, and distribute an award graphic to the winners at the conclusion of the poll. 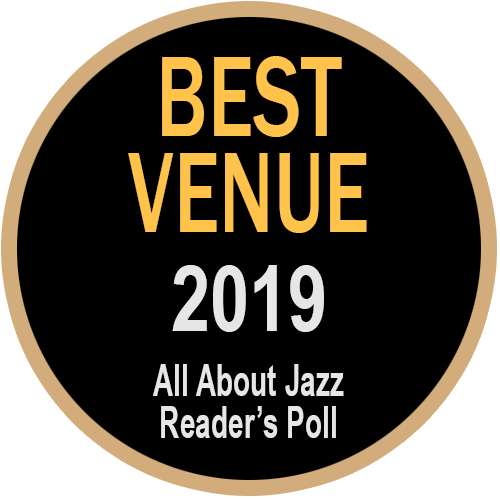 Thanks for helping us make the top venues poll the most definitive of its kind, and be on the look out for more jazz polls later this year. Next Catch Tenor Titan Jerry Bergonzi at Zinc this Thursday, Jan 31. Book your tickets today!